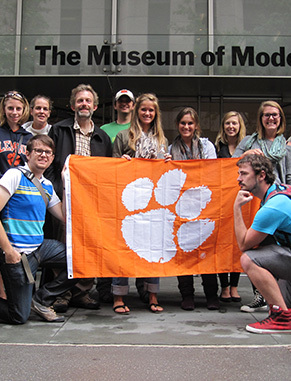 In Clemson’s Bachelor of Fine Arts program, you’ll be immersed in a rigorous course of study that includes studio techniques, conceptual directions and art history. With the instruction, tools, time and opportunity needed to develop your unique artistic voice, you’ll spend hours in the studio among a vibrant community of artists and scholars, with full access to the department’s clay, drawing, painting and printmaking studios, plus computer, photo and sculpture labs. Art historians, with a deep knowledge of modern and contemporary art, offer a rich understanding of past and current developments, will help provide context for your studies. You can choose an emphasis in ceramics, drawing, painting, photography, printmaking or sculpture. 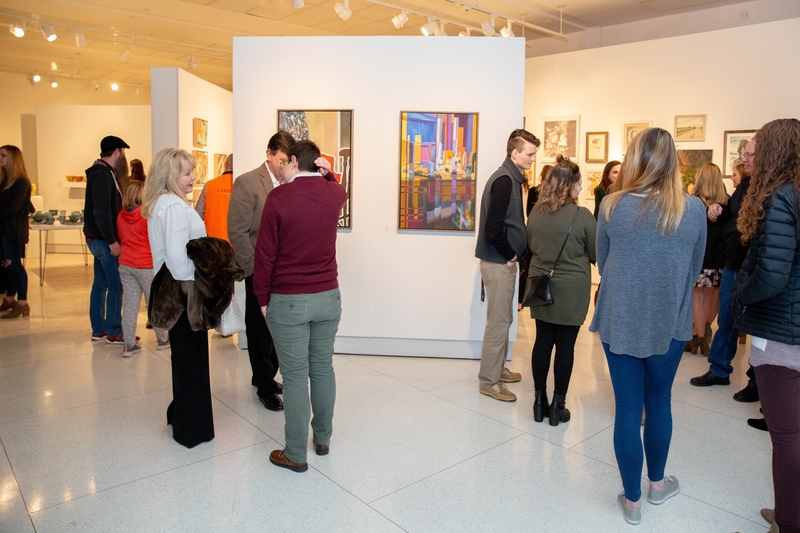 So, whether you plan a career in making, teaching or managing art, you’ll leave Clemson having had numerous opportunities to explore your abilities and develop your creativity. An ongoing visiting artist series brings artists and scholars from across the nation to Clemson. The Lee Gallery organizes exhibits in diverse media that expose students to compelling contemporary artwork and gallery talks. Every other year, you’ll have a chance to immerse yourself in another art culture during a four-week summer school in Orvieto, Italy. Our Fine Arts Student Association organizes field trips and at least one annual trip to a major urban art center such as New York City. 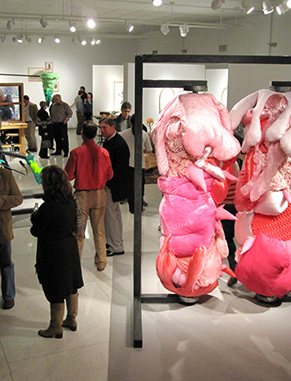 Clemson art students regularly exhibit their work in numerous independent galleries in the vibrant Greenville and Pendleton arts districts, as well as other regional and national venues. Seniors exhibit their art in the MFA Gallery in Lee Hall. The National Association of Schools of Art and Design (NASAD) accredits our bachelor’s and master’s degrees. On the application, we are listed as Visual Arts. You’ll be encouraged to investigate materials, processes and contexts that best suit your mode of expression. Rigorous studio activity and strong conceptual development are vital for success in this program. You’ll produce a cohesive body of artwork and a portfolio for graduate study or professional applications. Ceramics Concentration: Deepen your understanding of the diverse range of materials, concepts and processes related to clay, and develop a dynamic, individual practice in a supportive studio environment. Drawing Concentration: Develop skills of observation, perception and interpretation through the immediate and immersive act of drawing and through experimenting with various drawing mediums and processes and concepts. Painting Concentration: Cultivate your talent formally and conceptually to become a versatile, vital contributor to the contemporary art-making dialogue. Photography Concentration: Master the tools, techniques and methods, including traditional black and white film and contemporary digital formats. Printmaking Concentration: Explore the myriad possibilities offered — traditional and nontraditional materials, formats and production techniques — as ways to challenge the conventions of image and presentation to facilitate a transformative artistic experience. Sculpture Concentration: Immerse yourself in the ever-expanding field of this discipline as you create work in a host of contexts, including traditional gallery, site-specific, temporal/relational and installation modes. Whether you plan to embark on a career in making, teaching or managing art, Clemson offers numerous opportunities for you to explore your abilities and show your creativity. 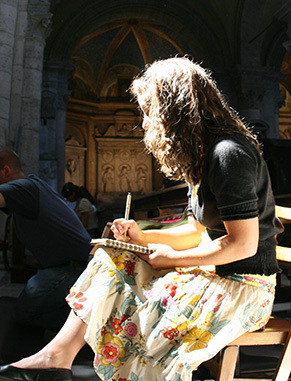 Draw and journal your way through a four-week summer school study abroad in Italy. See sites in Rome, Orvieto, Florence and Venice. You’ll visit contemporary and historically significant artworks and create work on-site. 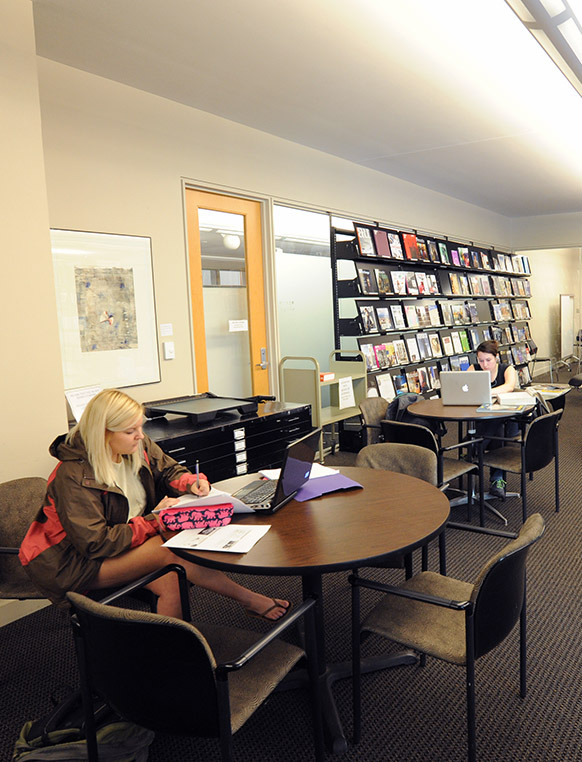 The Gunnin Architecture Library has more than 46,000 volumes of books and bound periodicals and 183 periodical subscriptions related to the fields of the visual arts, design and building. Providing access to regional, national and international artists, Lee Gallery holds a variety of exhibitions and special events during the year. In addition, you'll have a chance to showcase your work in the gallery. The Center for Visual Arts is a place where students, visitors and scholars explore contemporary perspectives in art and culture through research and studio practice. Its mission is to engage and render visible the creative process. The Fine Arts Student Association is a student-run organization that strives to increase awareness and appreciation of art on campus. 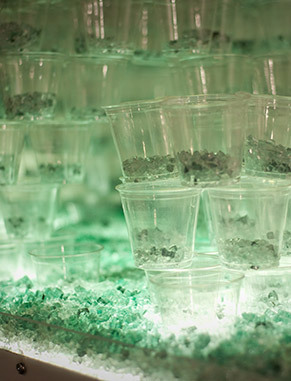 Past events include parties, art sales and an annual trip to a major urban art center such as Chicago or NYC. Huntington Museum of Art, W.Va.
J.L. Mann High School, S.C.